I don't usually hand out so much cereal at the cage door but I was into filming them. :) My rats have figured out that the more they totter, the more I might hand out a treat. 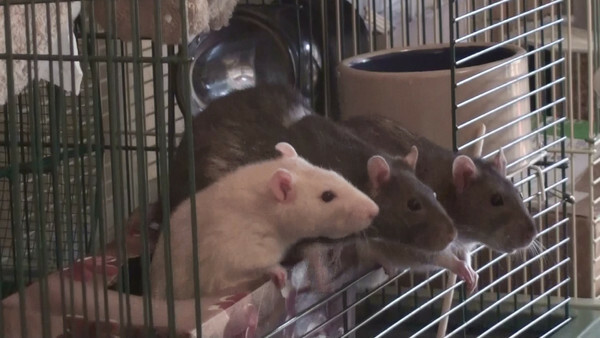 They also all know I will always make sure each rat gets a treat, so each shows some patience to wait her turn. You can focus on getting your rats to jump to your shoulder and then they will do that relentlessly. You have to decide if you want them to sit nicely (well, totter nicely) on the Kleenex box, or jump quick and fast to your shoulder. Or, decide on a signal for which behavior you want, and when you want it. That would take some work, though.